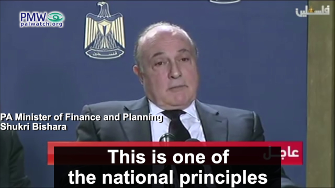 PA Minister of Finance and Planning Shukri Bishara: "The salaries [of public employees] will be paid in full, all of the salaries under 2,000 shekels... In practice 40% of the PA's employees, who are the dynamo engine of the economy, will receive their salaries in full, at 100%, because nearly 40% of the PA's employees receive less than 2,000 [shekels]... Today, we will pay no less than 50% of the salaries... We have placed an upper limit of 10,000 shekels for the top of the pay scale of those receiving a maximum of 10,000 shekels - the honored ministers and their like. 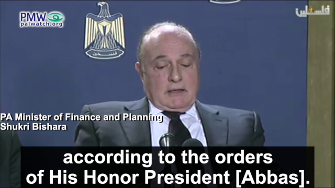 The burden of sacrifice and the burden of compromise falls on the top salaries... At the beginning of the month [March 2019]... the salaries were transferred in full to the prisoners, the wounded, and the Martyrs according to the orders of His Honor President [Abbas]. 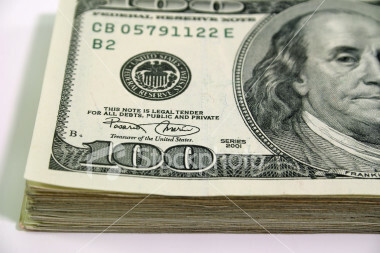 This is one of the national principles which no force on earth can make us deviate from." 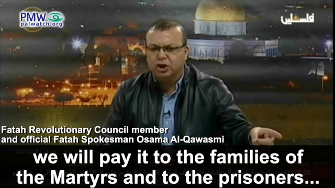 "The salaries of the families of the Martyrs and the prisoners will be paid regardless of the cost, and that it is not possible to abandon or treat lightly the livelihood of the Palestinian people's heroes... non-payment of the public employees' salaries is less significant than subtracting one penny from the family of a Martyr or prisoner who sacrificed his life and freedom for Palestine and its heroic people, such as heroic Karim Younes (i.e., terrorist, murdered 1 together with an accomplice), who until now has served 37 years in the occupation's prisons." "The salaries of the families of the Martyrs (Shahids) and the prisoners are a taboo that must not be touched. We are prepared to sacrifice our salaries, and we will not touch a single penny of the salaries of our Martyrs and our wounded and prisoner heroes." The PA decision to penalize its law-abiding employees in favor of continuing to pay the full salaries of the terrorist prisoners, released terrorist prisoners, the wounded terrorists, and the families of the dead terrorists, is not surprising considering how highly these terrorists are regarded by both the PA and Mahmoud Abbas' Fatah party. "All of the blessings to our heroic prisoners behind the occupation's bars, who have made the sacrifice of their freedom and their separation from their children, their wives, and their homes... Israel wants us to punish our brave prisoners and our Martyrs for their legitimate struggle for freedom and independence... 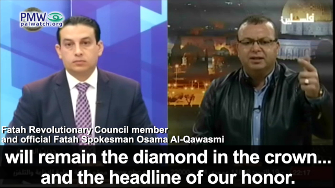 The prisoners, the Martyrs, and their families -will remain the diamond in the crown... and the headline of our honor. 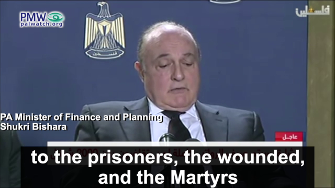 This lion [PA President Abbas]... is emphasizing once again... that the promise is a promise - a promise to the Martyrs... We are saying it on behalf of the Fatah Movement - if a single dollar is left in our hands, we will pay it to the families of the Martyrs and to the prisoners... Our Martyrs are heroes and our prisoners are heroes." Palestinian Media Watch reported on the PA's decision to cut the salaries of the law-abiding PA employees, which came in response to the decision of Israel's Security Cabinet to implement Israel's new Anti "Pay-for-Slay" Law and deduct 502 million shekels ($134.2 million) - the sum the PA admitted to paying to terrorists and released terrorists in 2018 - from the taxes it collects and transfers to the PA. In response to the decision of Israel's Security Cabinet, PA Chairman Mahmoud Abbas announced that the PA will refuse to receive any of the taxes collected by Israel. The taxes that Israel collects and transfers to the PA amount to, on average, 670 million shekels/month. Cumulatively, they account for almost 50% of the PA's annual budget. By refusing to accept the remaining taxes, the PA is self-imposing a significant financial crisis. Alongside the announcement of the cut in pay to the public employees, the PA Minister of Finance's announcement exposes the fact that 40% of PA employees earn less than 2,000 shekels/month. 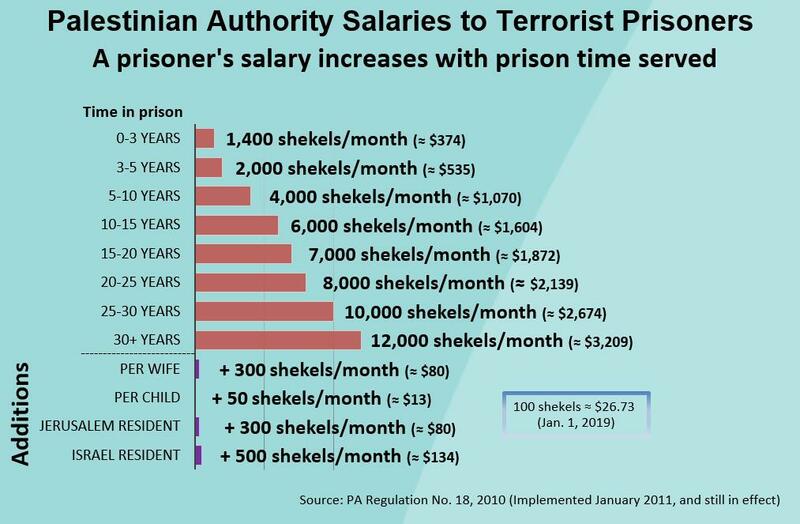 While this figure in itself is not of great significance, it demonstrates the reality that the PA pays terrorist prisoners who have been in prison for a cumulative period of 3 years more than it pays 40% of its law-abiding public employees. The salaries the PA pays to terrorist prisoners increase the longer time a terrorist spends in prison. While the starting salary is 1,400 shekels/month, it increases over time to 12,000 shekels/month. "We have placed an upper limit of 10,000 shekels for the top of the pay scale of those receiving a maximum of 10,000 shekels - the honored ministers and their like." Accordingly, a PA employee who earns 4,000 shekels/month will apparently only receive 2,000 shekels, a salary cut of 50%. 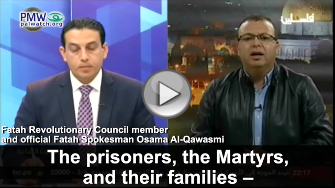 The PA ministers, on the other hand, who receive, for example, a salary equivalent to that of a terrorist prisoner who has spent 30 years in prison - i.e. 12,000 shekels/month - are still going to receive at least 10,000 shekels/month, a salary cut of less than 17%. The financial crisis the PA is now facing, and which requires the cuts in the salaries of its employees is entirely self-inflicted. 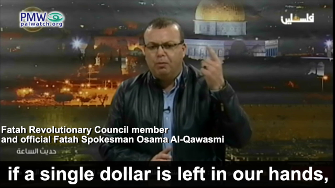 The origins of the crisis lie with the PA's "Pay for Slay" policy and its squandering of hundreds of millions of shekels to pay financial rewards to terrorists. The crisis is now being compounded by the decision of Abbas to reject over 630 million shekels a month in potential tax revenues, just as a means to display his dismay at Israel finally taking steps to prevent him from using the tax revenues to reward terrorists. While the decision to penalize the PA's law-abiding employees is not surprising, it clearly demonstrates the terror rewarding priorities of both Abbas and the PA.